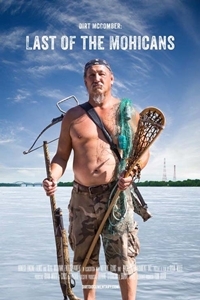 Description Eric 'Dirt' McComber is a rugged individualist who provides for his large family by hunting and fishing the Kahnawake Mohawk Territory near Montreal. But he must straddle two worlds to accomplish his many business, family, and societal functions. Adding to this is his passion and dedication to the sport of lacrosse, not just because of its modern-day significance, but also because it is the spiritual practice founded by his ancestors, the Iroquois of North America, who centuries ago played the game to honor the Creator as well as for the wellness of their nativecommunities.